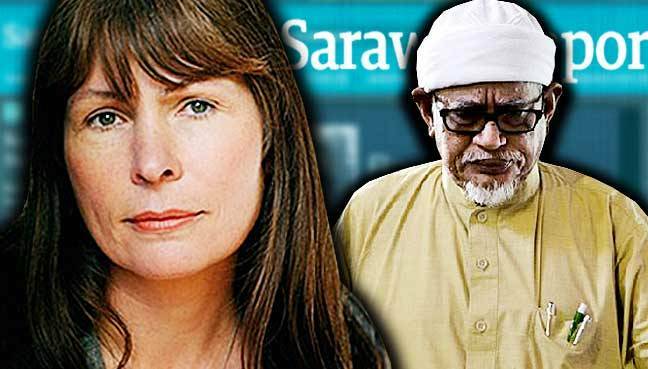 7th Rangers: Hadi loses his testicular fortitude, to settle Sarawak Report suit out of court, article stays that RM90 million had flowed into the accounts of its top leaders. Hadi loses his testicular fortitude, to settle Sarawak Report suit out of court, article stays that RM90 million had flowed into the accounts of its top leaders. Malaysiakini : It shows that present PAS top leaders are as corrupt as Umno's!!! !As for Hadi and PAS, the loss of face, loss of credibility and a couple of million ringgits wasted. PAS president Abdul Hadi Awang has agreed to settle his defamation suit against whistleblower website Sarawak Report out of court. According to his political secretary Syahir Sulaiman, Hadi consented to undisclosed terms of settlement with Sarawak Report editor Claire Rewcastle-Brown. "It is informed that Hadi has made a decision to finalise an out-of-court settlement through a consent order dated Feb 1 at the London High Court of Justice, Queen’s Bench Division," he said in a statement today. Syahir added that Hadi also consented to withdraw his claims against Rewcastle-Brown as the defendant was said to have similarly withdrawn her counterclaims. No order was made as to costs. S'wak Report editor pleased article on PAS' RM90m stays despite settlement. "I want to thank all the people who supported me in standing up to this attempt at legal bullying by PAS. "I stood my ground and the article remains online and unaltered, despite the attempts to silence and discredit me before the last election. "I could not be more satisfied with this outcome, although it would have been good to have seen them all in court," she told Malaysiakini. Rewcastle-Brown said she regarded the settlement as a "total victory and vindication," but said she cannot reveal its terms, as both parties agreed to keep it confidential. The Sarawak Report editor, who first broke the story of the 1MDB scandal, claimed in the Aug 6, 2016 article that Najib was wooing PAS ahead of the general election, and that RM90 million had flowed into the accounts of its top leaders.